Named as it was rumored to have been a home of giants, the Gigantes Group of islands off the coast of Carles Iloilo, located Northeast of the Panay Island, is a place of un-spoilt Islands and Islets with towering Karst rocks, stretches of twin white beaches, hidden natural pools with rich floras and faunas, not to mention that this is a rich fishing ground supplying seafoods of export quality. 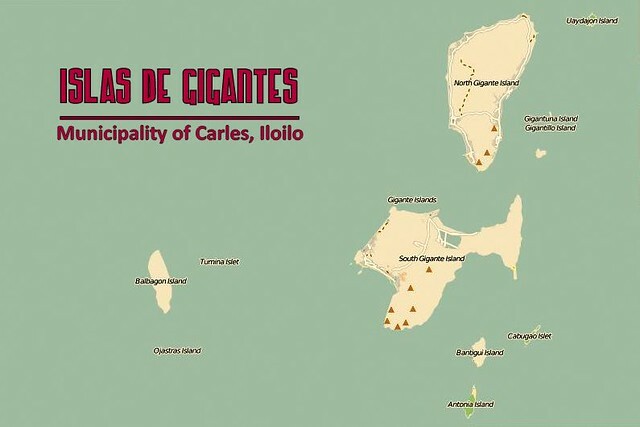 Almost all of Municipality of Carles’s esteemed notable beaches are actually from Isla de Gigantes, all eight of them as listed in Wikipedia. 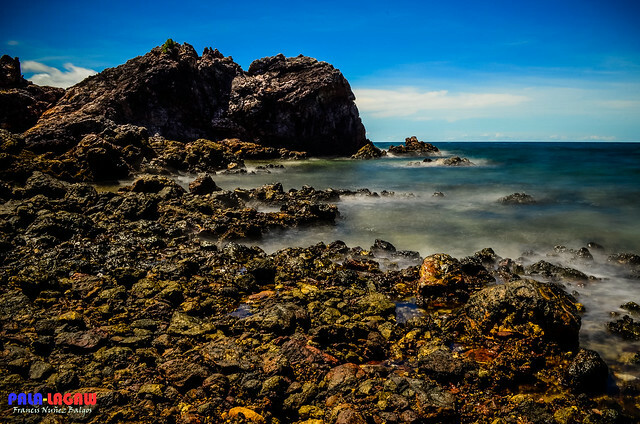 There are more beaches to be explored and discovered due to its remote location. 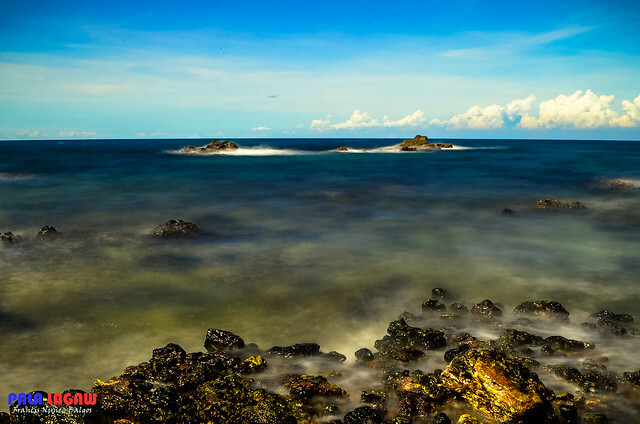 The coastal side of Panay Island from Capiz down to Iloilo is the Country’s supplier of Seafood, even giving Roxas City Capiz the tagline of Seafoods Capital of the Philippines due to its close proximity and easy accessibility to these sources. These islands are fairly new to explorer’s horizon, considering that our country is archipelagic, every province situated along a coastline would more or less have an offering of group of Islands to explore, or a scattering of Peninsula in its body of waters. Isla de Gigantes still has a long way to go in embracing its tourism potential, but it holds a lot of promise. 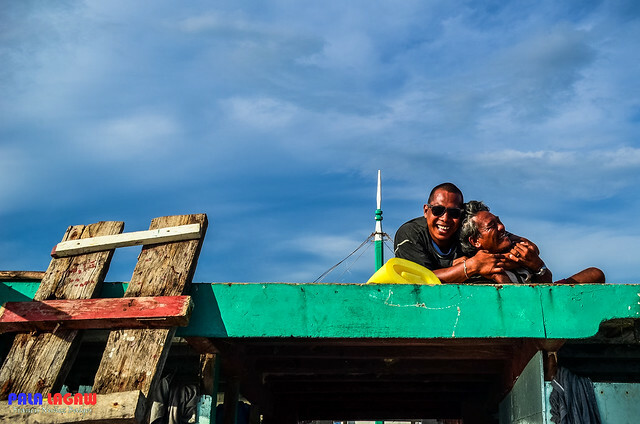 Steeped in the fishing business, the locals themselves are still in the process of realizing the magnitude of the tourism potential their homelands can rear. Arriving in the make shift Marina on a shallow beach in Brgy Asluman, Gigante Norte, visitors would literary walk along mounds of sharp and exposed scallops shells, and my welcoming party was a group of women cleaning and opening fresh catches of these shells along the shoreline that you can smell the meats being torn off their protective shells. My dinner was served with rock lobsters that even my brother who lives in the Seafood Capital is not familiar with. Surely the charm of the place extends to the dining table, and it makes me wonder what sort of Seafood treasure I could find in their local wet market, it will be worth a visit. Being that Roxas and Iloilo City are the 2 capital cities with Airports near Carles. Booking tickets to either of these entry points is needed if one is coming from Manila. But you have to consider the difference between these two entry points in Panay Island. 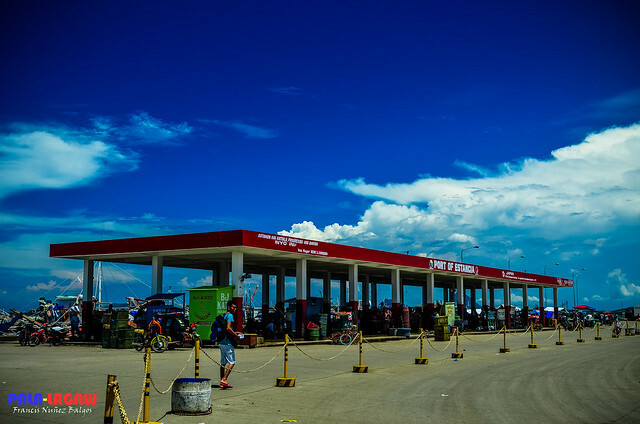 Iloilo International Airport is located in the Municipality of Santa Barbara, Iloilo with considerable distance of 30 minutes to an hour van and jeep rides to Iloilo City proper or the Tagbak Terminal. From Tagbak Terminal to Estancia Ceres Terminal is 3.5 Hour bus rides. Roxas City airport is within the perimeters of Roxas City, with only two flights coming in daily from Manila, the 5AM flight of PAL Express and the 10 AM flight of Cebu Pacific. From Lawaan Ceres Bus Terminal in Roxas City to Estancia Ceres Terminal is only 2 hours. Van rides are available to get to these points in Panay island, that makes the land trip faster, but which I don't really recommend if you still have time to travel and catch the boat rides to Brgy Asluman Gigante Norte at 2PM daily. Iloilo and Capiz provinces both have beautiful countrysides that can be thouroughly enjoyed in bus rides, while Van rides, base on my years of experience when I studied in Iloilo is cramped rides with less leg room in tinted car windows. Arriving in Estancia Terminal, a town with tricycle as main mode of transport to passengers. Catch a 10 minute tricycle ride to Estancia Feeder port. If arrival is too early in Estancia, you can enjoy a photowalk of this humble town, you can visit the Our Lady of the Most Holy Rosary, Estancia's old Catholic church, or a side trip to Pa-on Beach Club. At the treshold of Estancia Feeder Port is is the wet market were one can actually buy provissions, and even dried goods like Uga (dried fishes). Boat ride to either Gigante Norte or Gigante Sur is 2 hours from Estancia Feeder port. The boat leaves Asluman, Gigante Norte daily at 9AM, ETA after 2 hours to Estancia Feeder Port, from there you can retrace your steps back to the Ceres Terminal and take a ride to either Iloilo or Roxas City. NOTE: Though the islands are much closer to mainland of Carles Iloilo, it is much accesible to use the Estancia route because it has a feeder port with the only passenger boat that goes to the major Islands of Gigante. 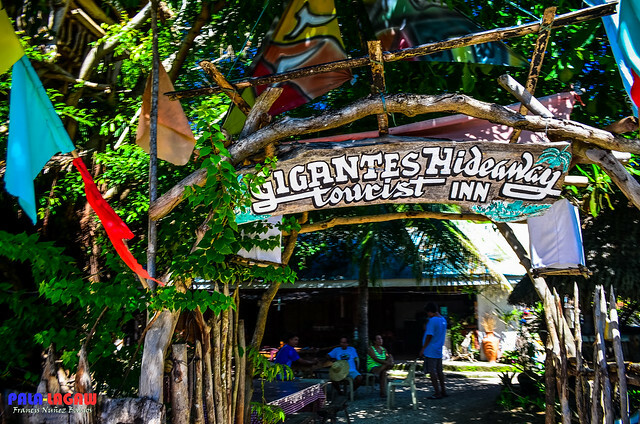 Isla de Gigantes have 2 major islands, Gigante Norte and Gigante Sur, the regular tourist route is in Gigante Norte where the known resorts are located. NOTE: The current rates for fan room accomodation is Php 200.00 per pax on these resorts, but this is subject to change. Better contact these numbers days prior to the trip to make arrangements. Camping with tents is also possible, even camping with the islands of Antonia or Cabugao Gamay, you just have to make arrangements with a boat man. Gigantes Norte is the location of one of the 27 major Spanish Lighthouses built by Spaniards during their occupation of the Philippines. 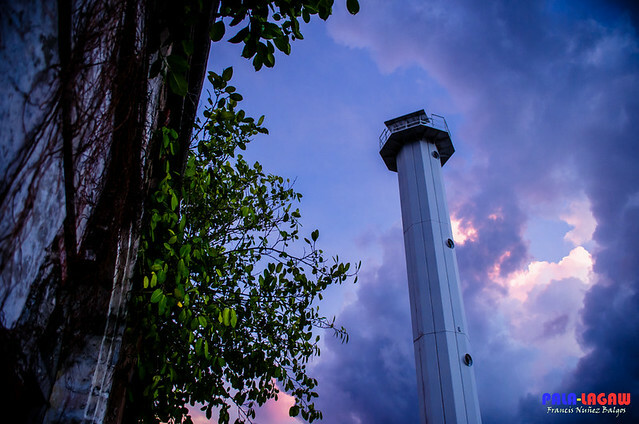 Though the lighthouse had been completely wiped out by the deluge of Typhoon Frank few years back, the old brick house still stands beside the old base of the tower, and a new iron structure built and donated by Japan is in place. There are about 12 noted islands that can be visited, including the major volcanic islands. 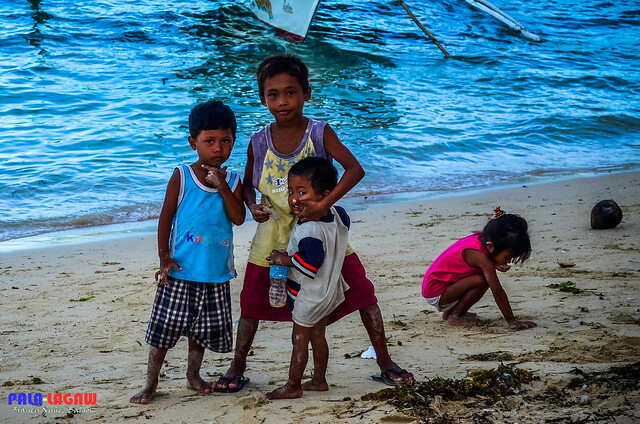 Gigantes Sur is the most populated island. The major islands runs on rotational electrical brown out, there is Electricty from 4PM to 11:30 PM daily, the resorts also runs there own generators if needed especially if there are a lot of guest. Most visitors are advised to bring their own jugged of water, though there is unlimited water supply in the resort that comes from a natural spring, it has a distinct after taste on it that needs getting used to. The Habal-habal driver can also act as guides when you intend to explore the inland of Gigantes Norte like the Gigantes Lighthouse. Note: To maximize time, enter Panay Island from Roxas City and exit in Iloilo City. Booking tickets 5AM flight of PAL Express from MNL to RXS. Return tickets after 3 days PM flights of ILO to MNL. Unless you prefer to stay overnight at either of this Cities. 6 AM - ETA Arrival at Roxas City Airport. 9 AM - ETD Bus ride to Estancia from Ceres Bus Terminal in Lawaan, Roxas City. 2 PM - Boat ride to Asluman, Gigante Norte. NOTE: The boat ride Michaelsen leaves at 2PM daily, but they'll be docked on the port from their arrival at 11 AM. Passengers are welcome to go aboard by 1 PM and take the prime seats. 7 PM Dinner is prepared by the resort. 5 AM - Wake up, coffee or optional Sunrise photo walk in the Mangroves. 7 AM - Visited Gigantes Lighthouse, take Habal-habal ride at Php 60 vice versa with guide fee. 9 AM - Whole day island hopping, includes lunch at one of the locations. Php 2,000.00 without the Cave exploration. 12 PM - Ceres Bus Terminal to Iloilo, to catch the afternoon flights of ILO to MNL. 3.5 hours Bus ride. Isla de Gigantes group of islands comprises mainly of Gigante Norte and Gigante Sur as its major volcanic islands with scattering of islets around it. Located in the western part of the Visayan Sea and approximately 18 kilometers Northeast off the mainland of Panay. The islands belong to the political domain of Municipality of Carles, Iloilo Province. i want to come here. for sure my vacation will be the most awesome of all! Really aweseome and a great place to visit with friends tagging along. Always detailed. This is why I love your blog. :) IMHO, Gigantes Group of islands is one of the hidden paradise every Pinoy should know about. The place looks amazing and definitely breathtaking! There's something about lighthouse that makes it so nice to appreciate. Maybe because it's such a tall structure with the ocean as a backdrop. I remember being awed by Basco Lighthouse and so was the one in Capones. The one here looks even taller than the ones I saw. I was fascinated by the 2nd photo. Truly fits the caption "The Photo That Made The World Stare In Awe" Awesome post! If you type Islas Gigantes in google photo search. these photos are also a rant in FB groups. Never seen a more comprehensive post about one destination, virtually a one-stop-shop for travel information. amazing photos there! so sharp and has its really alive colour in it! PLus the whole itinerary is very informative for all the tourists who would like to visit the place! This is the place where our former assistant schools division superintendent resides. This is a very nice place, a place to relieve from the hustle and bustle of the cities. It is full of a beautiful, natural scenic view. This is another place in my bucket list to visit. 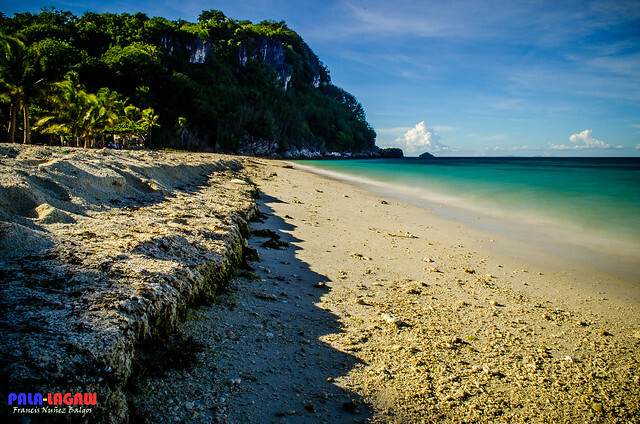 There are really so many wonderful places in the Philippines that anyone could enjoy aside from the well known Boracay, this is a great alternative to enjoy a white sand beach. With the trip we had at Dumaguete, I am definitely coming back to Visayas Islands. We actually planned to go back next year, with a trip to Roxas, Siquijor and this one! never heard of the island.. and this proves at how much little do we know about the beauty of our country!! this one is literally a paradise! Sayang that the lighthouse was washed out, but still the place offers more. I'll settle na lang examining those Karst rocks. Definitely I can find my way there since very detailed naman ang post na ito. Wow! I should include this on my bucket list of destinations. Thanks for sharing these awesome photos! 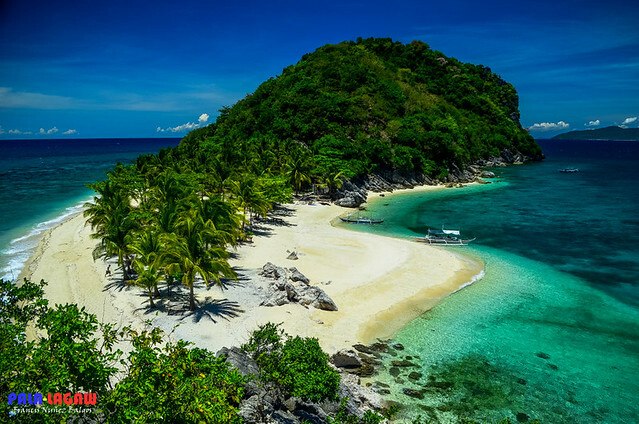 I'm already planning to visit Isla de Gigantes via Roxas next summer. This guide will be able to help me. Such a nice cam shots. 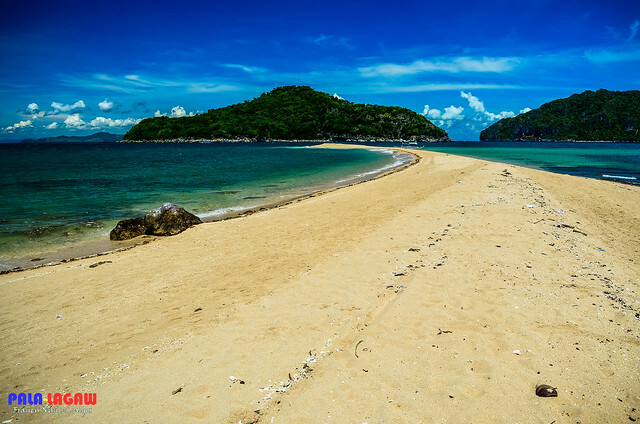 Is it possible to visit Gigantes Island in June? we were informed that is already windy by June. We cant predict the weather.. but surely, you can travel there..
Dont let the weather be an obstacle. Which island do you recommend? thanks! These island are not really really that far, but of course you cant just swim from one island to another.. If you plan on camping, Isla Cabugao Gamay or Isla Antonia will be the best choice.